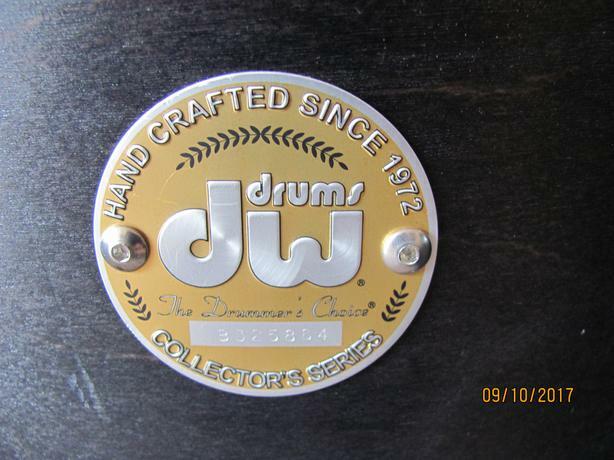 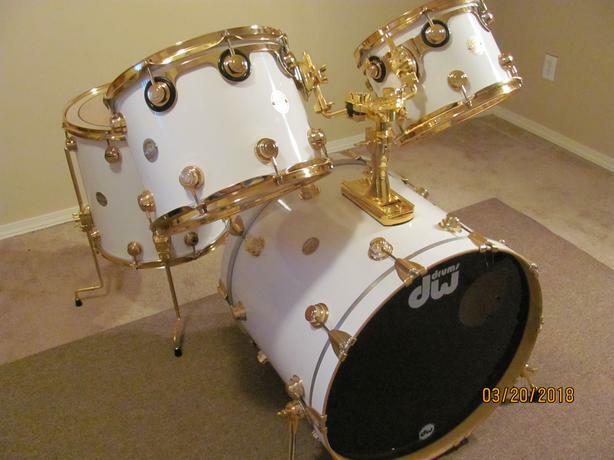 DW Collector's Series, Maple, with every piece of hardware 24 Karat Gold-plated. 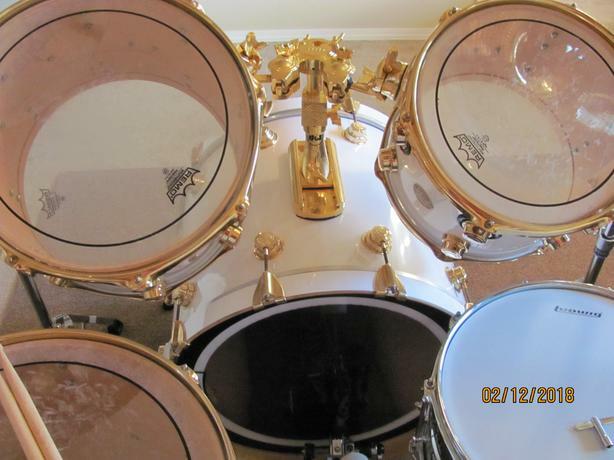 These drums were made in 2004, sequential serial numbers, with each drum shell's specific "note" stamped inside. 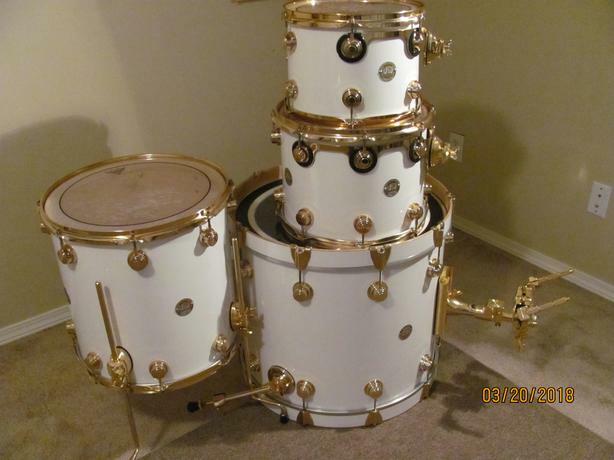 All the drums have reinforcement rings to focus the sound and all the bearing edges are perfect. 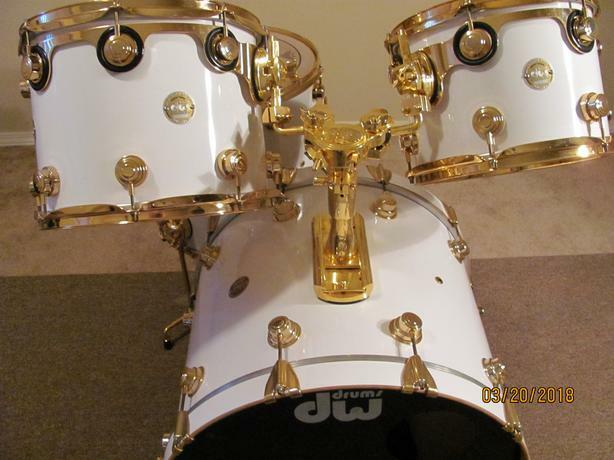 Drum sizes are 12" x 9", 14" x 11", 16" x 16", 22" x 18"
The colour is called "Finish Solid White" and it's gold-plated and this is your chance to get a superior set of drums.